The quick answer is YES you should specialize and find a niche. It’s impossible to be an expert in everything. 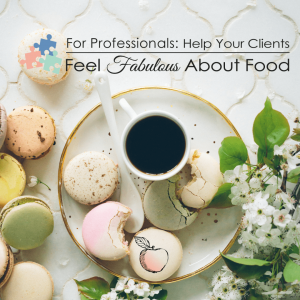 You were likely trained in many areas of your profession and have the ability to see many different types of clients – but that doesn’t mean you should see everyone. Picking a niche doesn’t mean that you won’t see other things in your practice – chances are you WILL. Clients are human beings who have a lot of things going on. If you work with humans, you will never have 2 clients that are exactly the same. So how do you pick a niche? Choosing a specialty is usually the first thing that scares people about starting a private practice – but it shouldn’t. Start by taking clients in a few common areas in your field at first. As your business grows, you will start to notice which clients excite you and which bore you. Then you can narrow it down to what types of clients you WANT to see more of and start to form your niche. Already know what type of niche you’re passionate about? You are ahead of the game! So WHO is your dream client? After you narrow in on your specialty, another big part of the “vision process” involves determining who your dream client is. Every business starts with this step, because you need to know who you’re marketing to. More questions to ask yourself: Do you want only a high-end clientele so you charge more and work less hours? Do you want to help young people, so your dream clients are college students just making their mark on the world? Do you want to work mainly with women? With the elderly? With a certain race or culture? Then move on to how to reach this population. How are you going to solve their problems? How are you going to help them? What are they looking for in a provider? Where do they find the information they need? The beauty of being your own boss is that YOU get to decide on the perfect type of clients for you. Everyone is different and that’s the beauty of being in charge of your own destiny! Success! Now check your email to confirm your subscription to the Pursuing Private Practice community.